Everything happens in seasons. God made it that way. But God is at work in every season - spring, summer, autumn and winter. The good news about winter is spring is just around the corner. 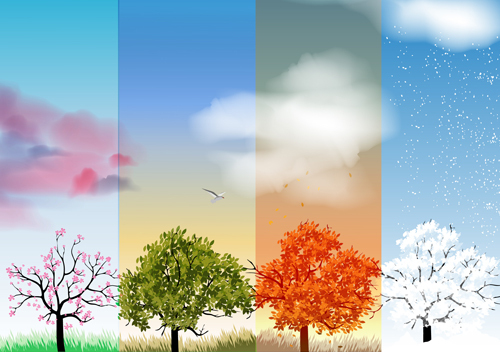 In relationships, in our life cycle, in our job or career, there is the phenomenon of seasons. There is the awe of the new growth time of spring, the happy time of summer, the autumn of where things start to change from great to so-so, and then the winter of when what started as wonderful ends up in needing a change. Every season of growth is rewarded with pruning. The good news is, if we can make it through winter, spring is just around the corner. The end is just a beginning in disguise. Most of us have heard what a very experienced and wise ruler named Solomon, writing under the inspiration of God’s Spirit, once said about seasons in Ecclesiastes 3:1-8. Some of you may recall these verses in a popular Byrd’s song in the late sixties. Many people resist seasonal transitions. This happens because they think it involves the loss of what is familiar and comfortable. They feel they are moving from the known to the unknown. But we can’t stop seasons from changing. We adjust to seasons. Don’t be scared. Change your thinking about seasons. A transition from old to new is seldom for the lessor. It’s for bigger, better and greater. The truth is every person will go through important seasons of personal change. There is such a time as this and then such a time as that. Sometimes the change of a season comes suddenly, sometimes seasons are just normal transitions, and some seasons are lengthy. Just ask people in the northern United States or Canada about long winters. Seasons can be the source of our greatest gain or our greatest pain. It’s all in how we handle the transition. Next week, I will address four important aspects of seasons. One final thought. Caroline Schoeder says, “Some people change when they see the light, others when they feel the heat.” Enough said!